Helsinki City Transport (HKL) said Friday that the trials of a low-floor tram supplied by Croatia's Crotram had proceeded so well that passengers would be allowed to board the test vehicle on lines six and eight. "In addition to the technical qualities we are interested what passengers have to say about the tram itself and its ride quality," said Ollipekka Heikkilä, head of development at HKL's tram division. The test vehicle that Crotram shipped to Helsinki on December has been seen gliding along Helsinki's streets with "Zagreb" emblazoned as its terminus. HKL is in the process of buying 40 trams. Manufacturers have been given the opportunity to carry out test and promotion runs in Helsinki on a non-binding basis. HKL is to call for tenders later this year and aims to choose the manufacturer in 2009. CROTRAM is a Croatian consortium of two companies, which produces the first Croatian low-floor tram (the TMK 2200). It consists of Končar Elektroindustrija d.d. and TŽV Gredelj d.o.o., both from Zagreb. 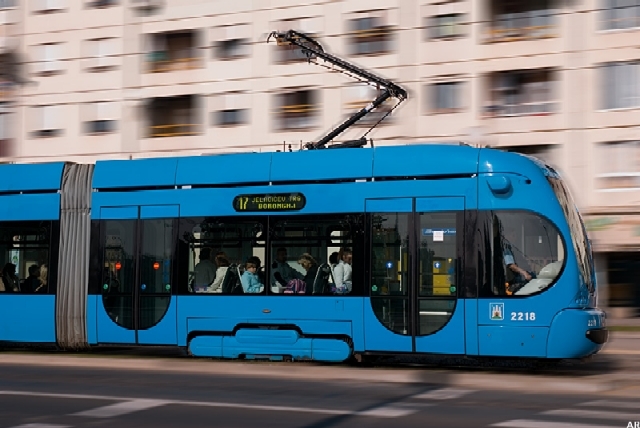 The TMK 2200 (another name, NT 2200, is also used) is a 100% low-floor tram that operates in Zagreb, the capital of Croatia. 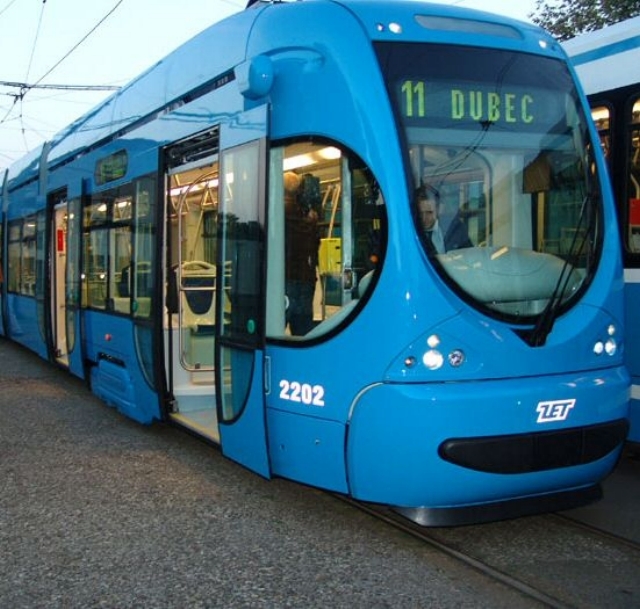 ZET (Zagreb Electric Tram: the public transportation company), ordered 70 of them in 2003 after Crotram consortium won the tender on the ground of lower price, competing with offers by Siemens AG (Combino) and AnsaldoBreda, S.P.A. (Sirio). The vehicles were delivered, as the contract requested, from May 2005 until June 2007. 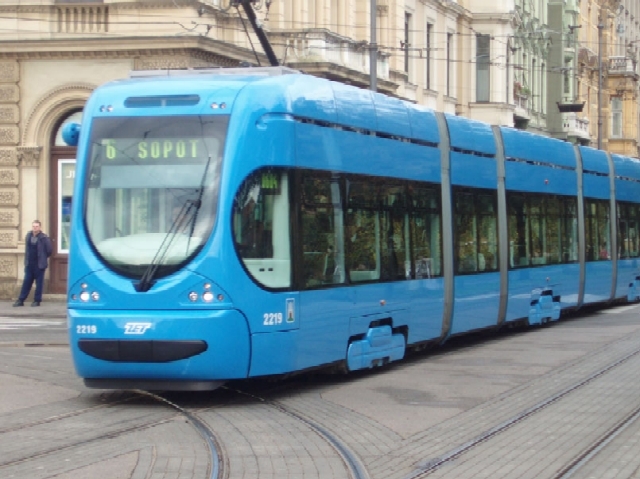 ZET (Zagreb city Holding), satisfied with the quality of the trams, ordered another 70 pcs. TMK 2200 in 2007, and they should be delivered till May 2009. All 140 vehicles ordered by ZET are 32m-long version. Price of the new batch is €130 million (€1,85 m. per vehicle), which is somewhat higher than price for the initial 70 ordered in 2003 (€112 million), but, due to lower production costs, the increased price is still very competitive compared to Western European 100% low floor trams, since prices of some trams of the same length go up to €2,5 million per vehicle. This is a fantastic trams .